A Cairo criminal court ordered on Tuesday the release of prominent jihadist Mohamed El-Zawahri on parole pending trial. According to El-Zawahri's lawyer Adel Moawad, his client should be released soon as he is not detained in any other case. The prosecution has the right to appeal the court decision. A judicial source told Ahram Arabic website that the decision to release El-Zawahri pending trial was due to his poor health condition. According to Judge Hussein Farid, the head of the Cairo Criminal Court that released El-Zawahri, the defendant must show up to court every 45 days and be under police surveillance. El-Zawahri is officially accused of joining a terrorist organisation – Al-Qaeda – as well as other charges including attempting to overthrow the regime and promoting radicalism. El-Zawahri, the brother of current Al-Qaeda leader Ayman El-Zawahri, was arrested in August 2013 on charges of membership of a terrorist organisation. In October 2015, El-Zawahri was acquitted of operating a terrorist organisation in what was dubbed the "Al-Zawahri cell" trial, which involved 17 other defendants, 10 of whom were sentenced to death for running a terrorist organisation connected to Al-Qaeda. 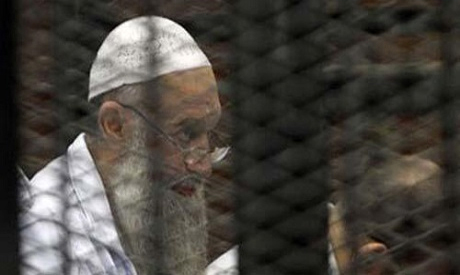 In 1999, Mohamed El-Zawahri was sentenced to death in absentia for a handful of terrorist attacks in Egypt. In June 2011, a military court accepted El-Zawahri's appeal against the death verdict. The case was closed and the 63-year-old jihadist was released.